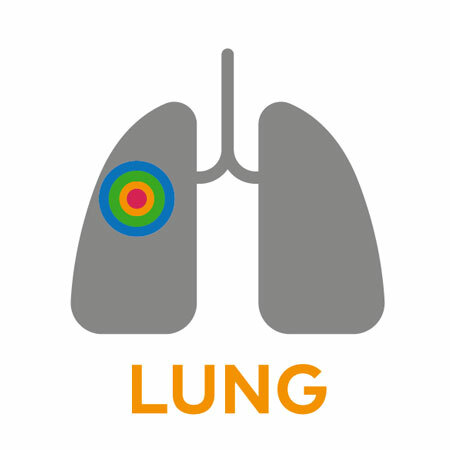 Lung TRACERx (TRAcking Cancer Evolution through therapy (Rx)) is a prospective observational cohort study that aims to transform our understanding of non-small cell lung cancer (NSCLC) through translational research. It is a large flagship study for the main funder, Cancer Research UK. Lung cancer is the leading cause of cancer-related death, accounting for nearly 1.4 million deaths worldwide every year. Approximately 78% of cases are NSCLC, for which the overall 5-year survival remains 67% for stage IB, 49% for stage II and 39% for stage III. Although advances have been made for maintenance therapy, the efficacy of standard platinum-based chemotherapeutic treatment of NSCLC has reached a plateau, particularly in the adjuvant setting, so a more radical approach is needed to develop novel therapeutic modalities. There is increasing evidence to indicate that intratumour heterogeneity is a major hurdle to improving therapeutic outcomes. Led by Professor Charles Swanton at UCL, TRACERx is a major collaboration between experts from a wide range of disciplines working together to integrate clinical, histopathological and genomic data from patients with NSCLC. Taking place over nine years and involving 842 patients from up to 20 hospitals across the UK, the study aims to define how cancer clonal heterogeneity affects the risk of recurrence and survival, and how cancer subclones compete, adapt and evolve from diagnosis to relapse. In turn this will define how analysis of intratumour heterogeneity can inform patient stratification and the development of novel targeted and immune based therapies. TRACERx patients, whose cancer comes back, have the opportunity to enter clinical trials of novel therapies (depending on test results of their tissue samples) from which they could benefit. Prof Charles Swanton – Consultant Medical Oncologist, Senior Cancer Research UK Clinical Research Fellow, UCL Cancer Institute (CI), Francis Crick Institute (FCI). Dr Sheila Singh- Associate Professor of Surgery and Biochemistry, Paediatric Neurosurgeon at McMaster Children’s Hospital. Natera Inc – Genetic testing and Diagnostics Company, San Carlos, California. Jamal-Hanjani M, Wilson GA, Horswell S, Mitter R, Sakarya O, Constantin T, Salari R, Kirkizlar E, Sigurjonsson S, Pelham R, Kareht S, Zimmermann B, Swanton C. Ann Oncol. Detetion of ubiquitous and heterogeneous mutations in cell-free DNA from patients with early-stage non-small-cell lung cancer 2016 May;27(5):862-7. doi: 10.1093/annonc/mdw037. Epub 2016 Jan 28.
de Bruin, Elza C., et al. “Spatial and temporal diversity in genomic instability processes defines lung cancer evolution.” Science 346.6206 (2014): 251-256. McGranahan, Nicholas, et al. “Clonal status of actionable driver events and the timing of mutational processes in cancer evolution.” Science translational medicine 7.283 (2015): 283ra54-283ra54. McGranahan, Nicholas, et al. “Clonal neoantigens elicit T cell immunoreactivity and sensitivity to immune checkpoint blockade.” Science 351.6280 (2016): 1463-1469.